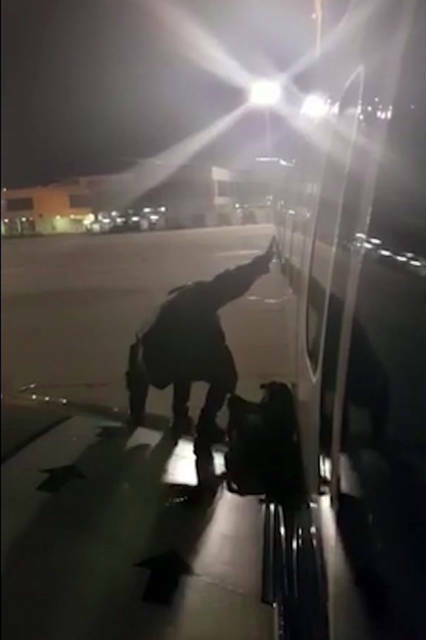 MADRID (AP) — A passenger on a delayed Ryanair flight from London who apparently got fed up waiting to get off a plane after it landed in the southern Spanish city of Malaga surprised fellow passengers by using the emergency exit to jump onto a wing. 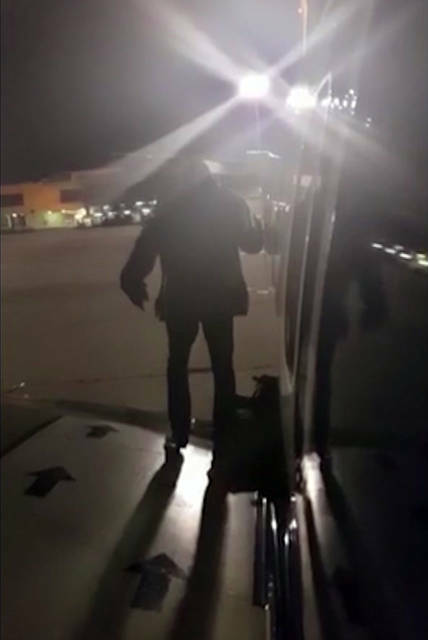 The incident on New Year’s Day took place 30 minutes after the flight from Stansted Airport landed. 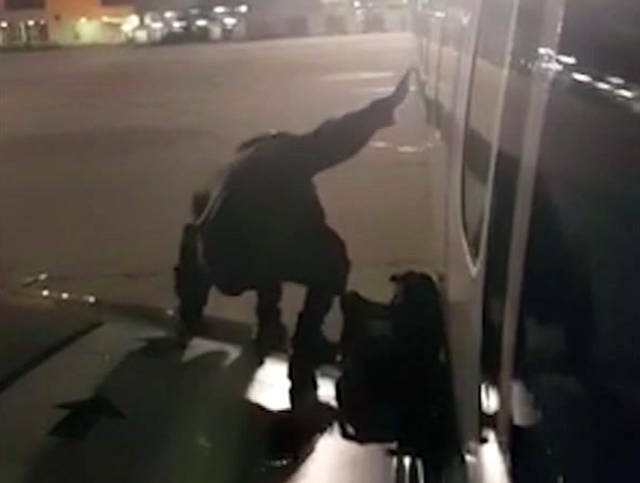 The man, who has not been named but is said to be a non-Spanish citizen, was coaxed back onto the plane while police were called. Fellow passenger Fernando del Valle Villalobos, who videoed the incident, said he heard the man say he got fed up waiting. “I was astonished,” del Valle, 25, told The Associated Press in a telephone interview. Later, he said the captain came out and asked the man why he had done it and del Valle heard him say clearly that he was sick of waiting inside. The passengers, except the man in question, were kept a further 15 minutes on the plane before being let off. Police said Wednesday that they have opened a complaint against the man for breaching security. Ryanair said the incident was now in the hands of Spanish authorities.